Our policy at The Women’s Travel Group is to offer share guarantees on our trips; if someone is not matched, they often get a no supplement single. What is the worst that can happen if you share? 1- You might find out you are the messier packer? 2- You might learn about new expensive habits that will cost you; that is how I learned about $$$ Frederic Fekkai hair products from travel mate. 3- You might have to ask for a second room key? 4- You might have to give up wearing perfume? Yes some shares do ask for their roomie not to wear perfume. But who carries bottles like that anymore? 5- You might make a new friend, therefore have a new Christmas card to write, and a new contact in your smart phone, and a new birthday to remember and a new obligation to send photos of the new grand kid, and well what can we say. You might have to make a new friend. The Women’s Travel Group has arranged room shares for solo travelers for many trips to help you save $$ on the single supplement for years. 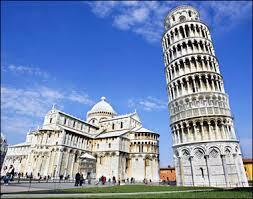 Join us to Italy for a panorama of this wonderful country and save over $800+ with a share.